Do you have a great idea for a business? We can help you select a tax-efficient entity structure for your business and work with you to form your business quickly and easily. 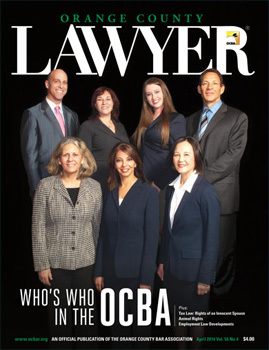 Mrs. Dawson-Man is honored to be recognized by OC Metro Magazine as one of the top attorneys for 2013 in OC Metro Magazine's annual top attorney issue. 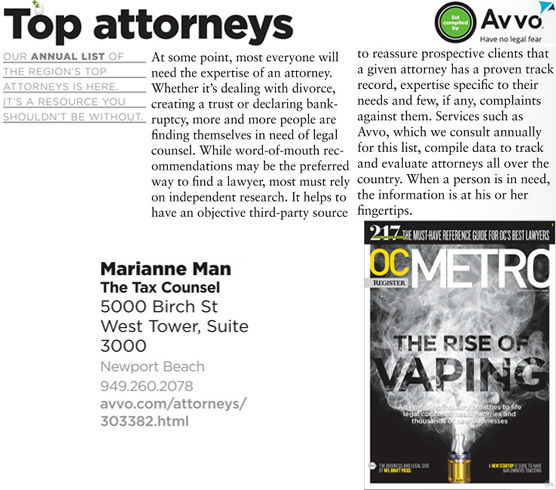 In 2014, for the second consecutive year, attorney Mrs. Dawson-Man was recognized by OC Metro Magazine as a top attorney in her field of tax law. 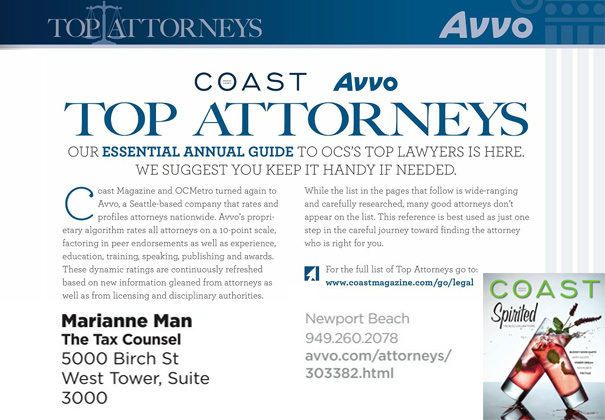 For the third consecutive year, attorney Mrs. Dawson-Man of The Tax Counsel TM has been named one of the "Top Tax Attorneys" in the Orange County, California area. She and her firm, The Tax CounselTM, TM is featured in Coast Magazine's October 2015 issue. Our firm focuses on defending clients against the IRS, California Franchise Tax Board and the California Employment Development Department. 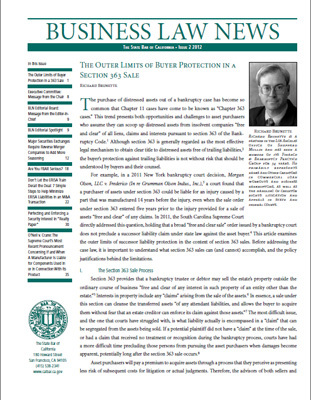 We created a Outside Tax General Counsel Law for attorneys and law firms who want to augment their own law practices with an outside Tax Controversy department to increase their own firm's revenues and to provide an additional area of legal services for their clients. Please contact us if your firm has an interest in joining our Outside Tax General Counsel Law. 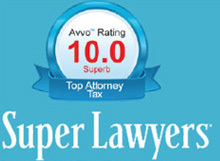 We offer attractive rates for the law firms which the member law firms of our Outside Tax General Counsel Law program, which the law firms can then pass on to their clients. Your clients remain with your firm. We will only work with your clients on the tax controversy legal services matters which you have asked us to help your clients with, and we will always refer your clients back to you for any other type of legal services. 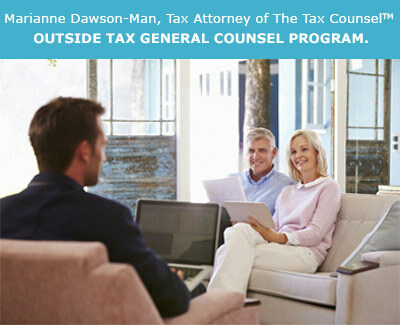 Interested to Learning More About The Tax Counsel’s Outside Tax General Counsel Law program? At The Tax CounselTM, we also help you to discover the tax implications of your choice of business entity and can help you review your contracts for legal as well as tax implications. 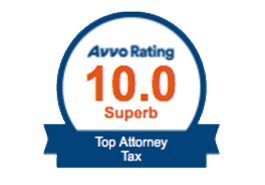 At The Tax CounselTM, approximately 70 to 80% of our business comes from referrals from CPAs and other lawyers. We work hand-in-hand with accountants, CPAs, and other lawyers to serve the best interests of our clients. Not every tax attorney specializes in defending clients against the IRS and California Franchise Tax Board. At The Tax CounselTM, that's our focus. At The Tax CounselTM, because we see the triggers that start IRS audits nearly every day, we are in a unique position to help you plan to avoid those triggers. At The Tax CounselTM, we can help you analyze your investments in acquisition of businesses and in the sale of your business from a tax law perspective. 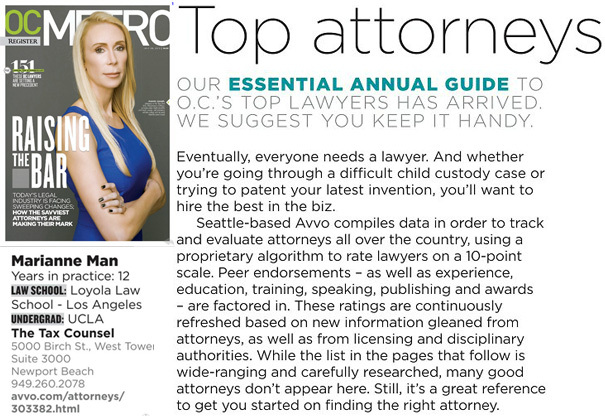 Mrs. Dawson-Man was named a top attorney in Mergers & Acquisitions by Los Angeles magazine in its Super Lawyers edition. Getting into a partnership is akin to getting married in many respects. One would be wise to have the transaction analyzed from a tax law perspective from an attorney who is experienced in defending IRS tax audits BEFORE one invests in a business partnership.